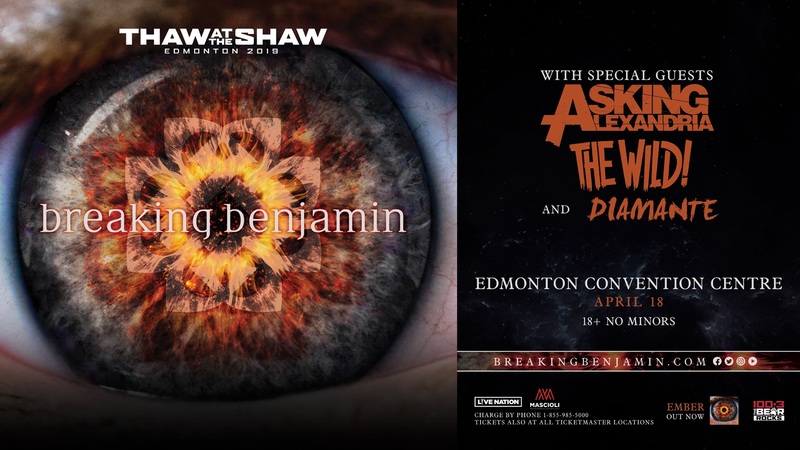 CONCERT CANCELLATION: Due to unforeseen production issues, the Western Canadian shows for Breaking Benjamin from April 12 – 20, 2019 have been cancelled, including Thaw at the Shaw on April 18. Tickets purchased online and by telephone will be refunded automatically, Ticket holders who bought in person are eligible for a refund at point of purchase. Please contact Ticketmaster for any refund inquiries.